BOSTON – With a personal best time, sophomore Ben Burgess qualified for the state meet in the 1000-meter event at the Bay State Conference Championship at the Reggie Lewis Center in Boston on Wednesday. Burgess finished fourth in the conference in the event with a personal record time of 2:38.59, said head coach Chris Collins. Only three Flyers finished in the top eight in events yesterday to earn points for the boys indoor track team, said Collins. The boys team finished in 11th place at the Conference meet. They were 1-5 this season in dual meets. 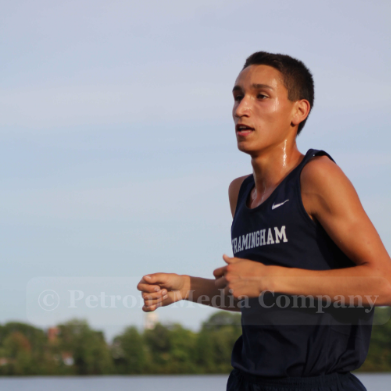 Senior captain Matt Kimmelstiel finished in 7th place in the 300-meter race for Framingham, in a time of 38.02 seconds. Junior Andrew Swallow finished in 8th place in the shot put, with a throw of 41-feet, 11-inches. Next up for the Flyers is the Division 1 State meet on Feb. 18.